Here are some quick facts about Hepatitis C and US Army Veterans. The issue of extreme pricing of the novel Hepatitis C medications such as Gilead's Sovaldi and Harvoni is being raised time and time again. In Europe, the national health care systems are being challenged and endangered because of the billions that would be required to pay for treatment of Hepatitis C patients. In the US, the situation is even worse - on the home ground, the US-based pharmaceutical giant Gilead Sciences, producer of Hepatitis C medications, is charging up to $94,500 for a single Hepatitis C treatment. Safe to say, one of the most Hepatitis C endangered populations are the US Army Veterans and they are being appalled by the astonishing prices Gilead is demanding for the medications that can be produced for less than $1,000. 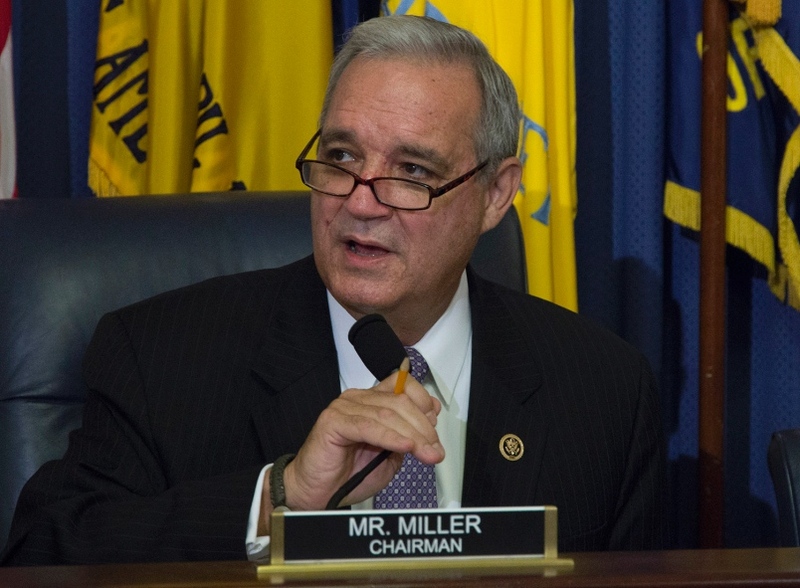 The Chairman of HVAC, Florida Republican Rep. Jeff Miller, who oversees where the budget for US Army Veterans goes, is outraged by the extreme pricing that is being used by Gilead. He went so far as to accuse the produced of price-gouging and 'picking and choosing' it's pricing models based on the target customers and location. For example, Gilead has made Sovaldi, a Hepatitis C drug, available for $900 in Egypt and 90 other countries around the world - at home, in the US, however, the endangered US Army Veterans have to pay $40,000 for exactly the same medications. In Miller's opinion, this is flat out considered an opportunism and an extortion of Army Veterans. As early as in late 2014, Bernie Sanders, a current Democratic nominee for 2016 US presidency and, summoned a hearing about the practices of extremely high pricing in Hepatitis C treatment area. He is reported to be especially concerned with the heavy toll the costs of Sovaldi and Harvoni treatments have on Veteran Affairs annual budget. Sanders invited Gilead executives to attend the hearing but was declined; as it happens, Gilead executives cited overseas business travel as an excuse not to attend the hearing. "With numbers like these, we're not talking about a company looking to make ends meet, or even fund their next great medical breakthrough,” Sanders said. "We're looking at a company who is milking a cash cow for everything it's worth." Pharmaceutical companies generally justify high costs of original medications because of the costs that went into research and development, and expected costs of R&D for the new products. In short, the incentive to innovate is driven by the funds raised of selling the previous drugs. Arguably, this is not the case in Hepatitis C and Gilead - Sanders stating they are milking Hepatitis C patients, US Army Veterans among them, for money that translates directly into corporate profits is quite on point. How much do US Army Veterans pay for Sovaldi and Harvoni? Sovaldi, the first modern Hepatitis C treatment was introduced in late 2013, and in 2014 the Veterans Health Administration helped to treat more than 5,400 Army Veterans. The total cost of these treatments was $370 million which is approximately $68,500 per veteran. Needless to say, that money could go a very long way if used for other benefits veterans might get. Paying for life-saving medicines for Army Veterans is a no-brainer but the reality of Hepatitis C treatment is its high cost. Will veterans see less of other benefits because a big amount of Veterans Affairs budget has to go to Gilead for Hepatitis C drugs? Because of more than 200,000 veterans suffering from Hepatitis C and the high costs of treatment, the VA requested for additional funds for the 2016 fiscal year. Congress approved that $1.5 billion in total should go for treating US Army Veterans with Hepatitis C.
This is a very large amount gifted by the Congress but how far can it go? Considering that VA is paying the minimal cost for Hepatitis C treatment - Sovaldi for $40,000 - the number of veterans that can be treated with this budget in 2016 is 37,500. That may seem a lot but what if you're one of more than 162,500 veterans who won't get the treatment in 2016? Wait for another year in hopes you will get it while Hepatitis C virus is destroying your liver? As always, FixHepC Buyers Club welcomes all Hepatitis C patient in search of low-cost Hepatitis C medications. We provide you with everything Hepatitis C patients need to get well for less than $2000 under a watchful eye of Dr. Freeman. Contact us for more information.